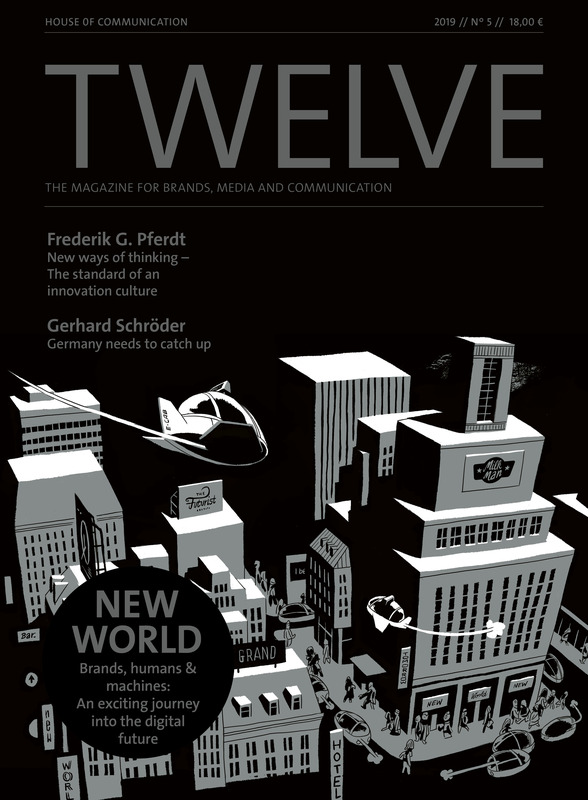 TWELVE was developed as an individual annual review by the Serviceplan Group for the media and communications industry. The aim of the magazine is to provide an insight into the inspiring personalities and topics that have accompanied the group in the past year and also to showcase our portfolio in an innovative way. With the topics covered in TWELVE we want to make a real impact in the industry. The articles inspire, look to the future, move and surprise people, and also shift the spotlight onto current niche topics. 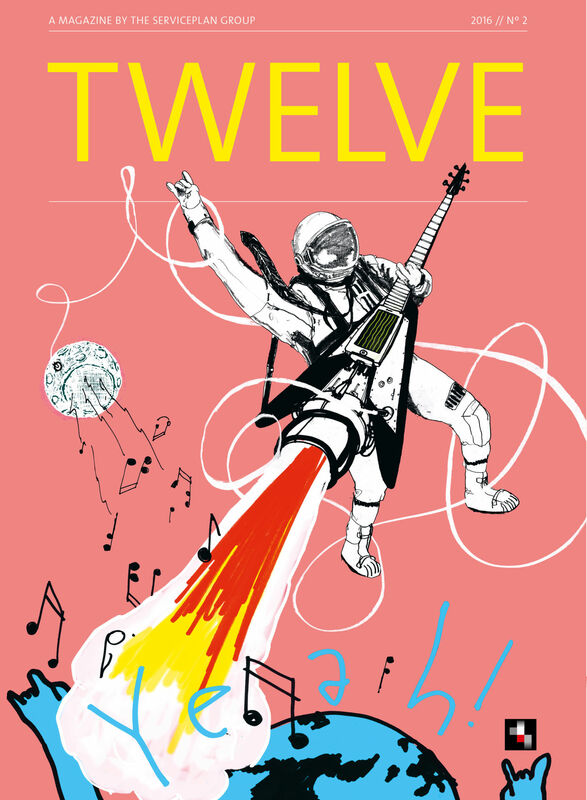 We want TWELVE to be different to other annual reviews: personal, inspiring and trendsetting. It is neither a trade journal nor an image brochure, but a coffee table magazine that we hope will accompany the readers over a long period of time, even becoming something of a collector’s item. TWELVE is cult. 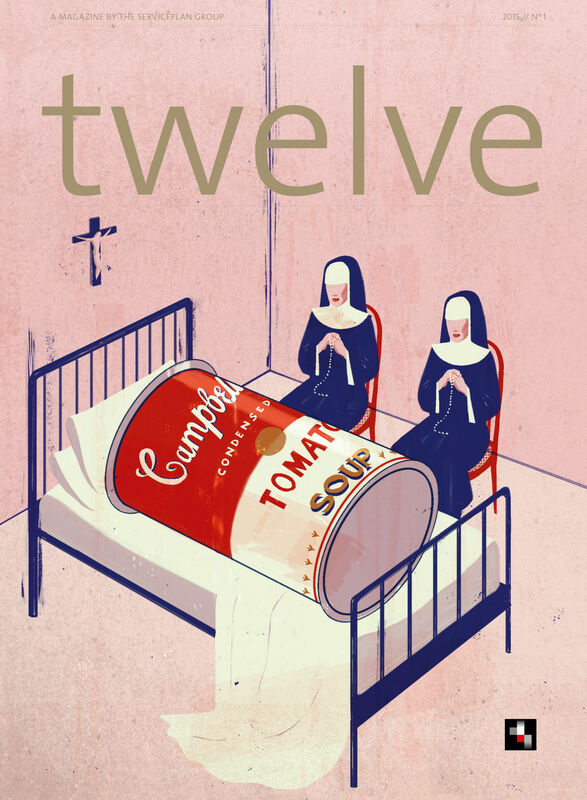 And now have fun reading our editions of the TWELVE magazine! With “New World”, the overarching topic of our fifth issue, a number of guest authors, famous personalities and renowned experts have contributed visionary stories, inspiring interviews and clever analyses. 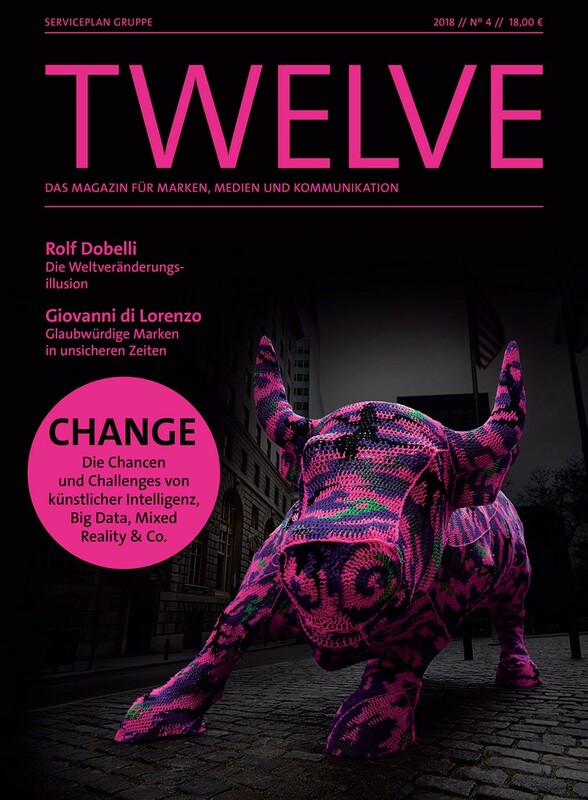 The theme of the fourth issue of TWELVE is “Shaping Change”. The review of the year presents the key topics that occupied Europe’s largest owner-managed agency group in 2017. All twelve sections of the magazine look at change and transition – largely driven by digitisation. As an internationally operating agency group, we firmly believe in the opportunities of globalisation and in a peaceful coexistence that goes beyond countries and continents. This is why our third issue of TWELVE is under the theme of “globalisation” – and the reason we invited experts from all over the world to contribute their ideas and perspectives. The wealth of highlights we experienced in the year 2015 is reflected in the variety of topics we are covering in the second issue of TWELVE. With that, you will find highly inspiring and informative articles on ground-breaking innovations like gesture controls in cars and the emerging digital markets in China. Our first edition of the Serviceplan journal “TWELVE” is a compilation of people who particularly moved and impressed us in 2014, and topics that inspired and fascinated us during this time. 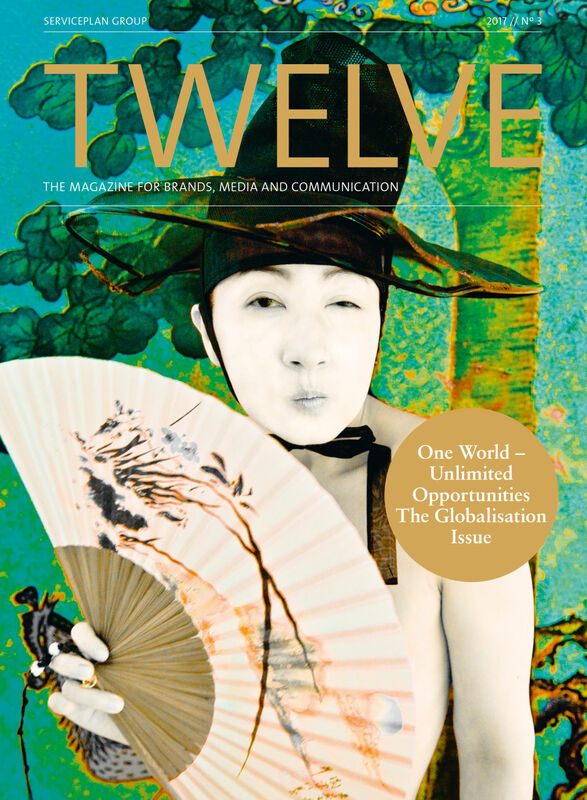 The name TWELVE refers to the twelve months of a year as well as to the twelve chapters of the magazine, which each cover a currently relevant megatrend in the communications industry. In articles and interviews, well-known personalities give insights into their thoughts on these topics. Experts from the Serviceplan Group explain the most important current developments in brand communication within the individual range of topics and introduce innovative projects. In addition to the individuality of its content, the design of TWELVE should also stand out. That’s why every issue is designed together with a different up-and-coming artist who creates the chapter intro pages and the cover. The print circulation of the annual magazine is limited and it is sent out to the group’s most important contacts, both nationally and internationally. The first four issues of TWELVE have already been honoured with the Red Dot Award: Communication Design 2015, 2016, 2017 and 2018 as well as a Bronze Award at the “Best of Business-to-Business” Communication Awards 2015. Of course we are very interested to know how you like our magazine and look forward to hearing your feedback. Send us a mail to: twelve@serviceplan.com.